Grammie's Attic has a beautiful collection of bright and festive classic fashions for your little angel's holiday season. You'll find dresses, rompers, shortalls, longalls, bubbles, and button-ons in velvets, taffetas, silks, and cotton blends beautifully detailed with hand smocking, lace, and embroidery. 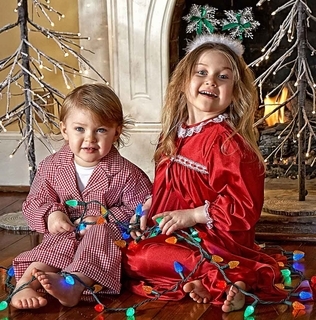 Perfect for Christmas portraits or that first visit with Santa, your baby, toddler, or little boy or girl will steal the show in these adorable outfits! The Holiday Collection features new, nearly new, and vintage holiday fashions from leading designers including Feltman Brothers, Sarah Louise, C. I. Castro, Carriage Boutiques, Petit Ami, Sophie Dess, Good Lad, Victorian Heirlooms, Gordon & Company, Rosalina, Rare Editions, and Will'Beth. Click on the red bow below to see a special collection of holiday dresses from Polly Flinders. Many of our items have been reduced, so shop now for the best prices ever! Please note that many of these sweet holiday fashions are available in very limited quantities. Unless otherwise indicated in the product description, there is only one of each item available. When ordering, please do not enter a quantity greater than one unless the description specifically states that more are available. Don't forget the perfect accessories -- ruffle bottom tights, diaper covers, crinoline slips -- Grammie's Attic has them all! 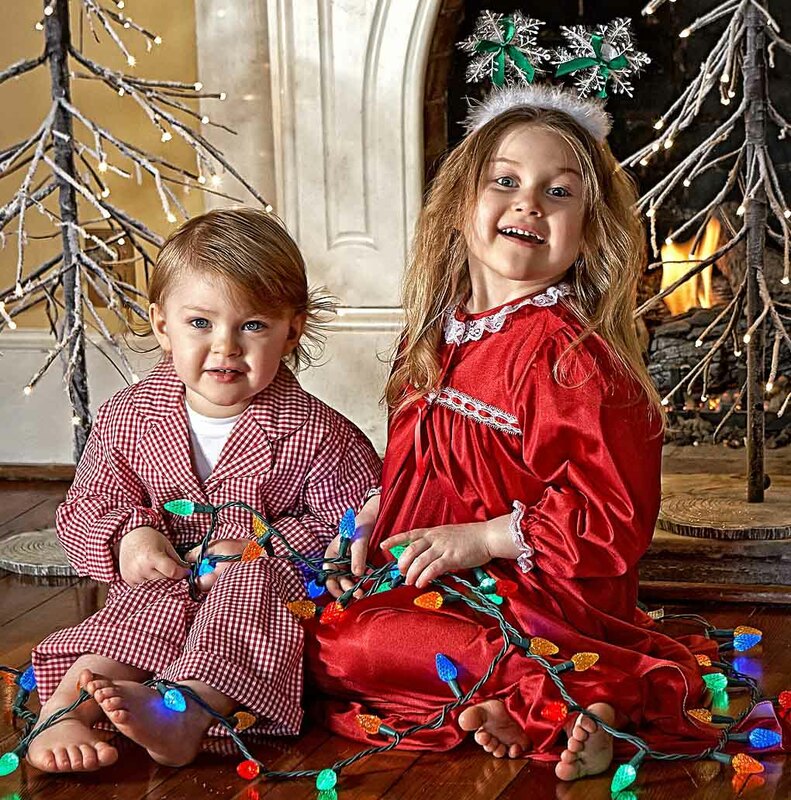 Check our Nightgowns and Pajamas Collection to see our beautiful custom made white cotton and red flannel nightgowns and nightshirts and other wonderful holiday pjs for your little ones!